Overstay Visa Philippines? Go to the Bureau of Immigration! Take care of it before it takes care of you! If you overstay a visa, it might not be a pretty situation. I get questions so frequently from people who are illegally staying in the Philippines. The reason their stay is illegal is that they have stayed longer than their visa allows. The common term is that they have “overstayed”. Some people won’t have much trouble at all because they are only here a bit longer than their visa allows. This situation is easy to fix, you just have to pay some fines. I also get questions from people who have been here illegally for as much as 20 years. For people in that situation, the situation will not be nearly so pleasant as just paying a fine. Firstly, their fines will be very significant, and there will be other types of penalties as well. We’ll talk about that later in the article. It depends on the type of visa that you have. Most who are in this situation have been staying here on a tourist visa. Some, however, on the Balikbayan Privilege (commonly called a Balikbayan Visa), a Resident Visa and just about anything else. Overstay visa, and how long you have overstayed depends on the type of visa. If you arrive in the Philippines with no visa they will issue you what is called a “Tourist Visa Waiver” at the airport. It is stamped in your passport. The Tourist Visa Waiver will allow you a stay of 30 days in the Philippines. 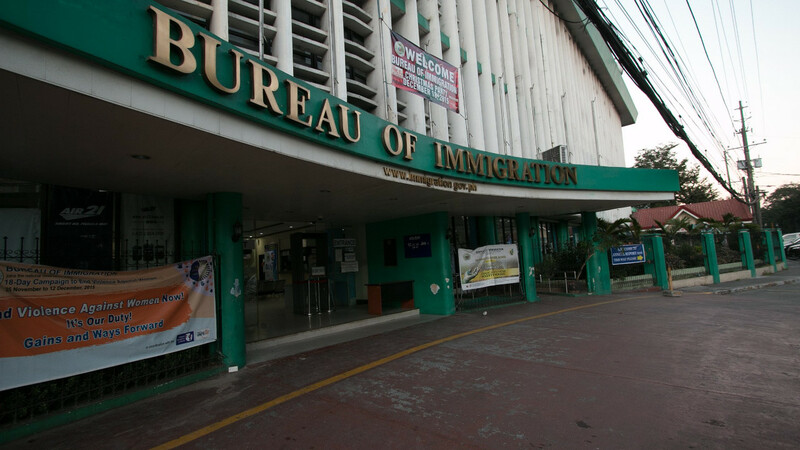 When 30 days are nearly up, just go to the Bureau of Immigration office. There you can pay some money, to extend for a longer stay. The amount varies depending on which renewal you are on. If you do not take care of this you will overstay visa. You can keep extending your visa until you have been here for a total of 36 months. At the end of 36 months, you must leave the country. You can, however, come back the next day. This will start another 36-month stay. As long as you extend your visa at the proper times, this is completely legal. You will have no overstay visa issues. If you do not extend your visa before it expires you are overstaying and you will run into problems sooner or later. How will you run into trouble? Either the Immigration Authorities will find you, or when you are ready to leave the country, you are stuck and cannot leave until you pay the penalties! In fact, if you overstay for more than 12 months, you will be blacklisted. What does that mean? Well, it means that you will never be allowed to enter the Philippines again, or will be banned for an extended period of time. When you arrive in the Philippines and the Immigration authorities check your passport they will see that you have been banned from entering the country, and you will not be able to leave the airport and must leave the country immediately. If you overstay visa and go to the airport to leave, they will catch you, there is no way around it. What happens if you don’t have the money to pay the overstay visa fines that are due? Well, if you can’t pay they still won’t let you leave, but they also will not release you. No, they have a place for you to stay! In jail. 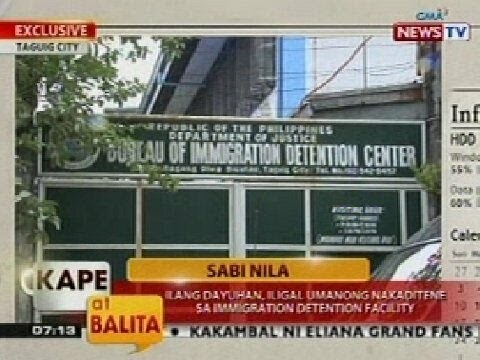 Most people who are jailed for immigration matters are sent to the Bicutan Prison in Taguig. You will stay there until you pay the overstay visa fines. How much will you pay for overstay visa? The fees that you will have to pay include fines and penalties plus all of the visa extension fees that you did not pay during your stay in the Philippines. So, believe me, it is always cheaper to just pay the fees when they are due, not waiting until you have been caught and owe overstay visa fees. The penalty for overstay visa is P500 for each month of overstaying, plus all visa fees that should have been paid to remain legal. On this episode of the Expat Answerman Podcast, we have numerous listener questions regarding Overstay Visa issues. These questions and my answers will make a nice contribution to this article. Cris starts out and she is asking us about how much the fees are and any other penalties involved for overstay visa in the Philippines, particular for Chinese citizens. Our next question comes from Henry who experienced some problems after his wife passed away in the middle of his 13A Resident Visa application process, leading to the possibility of an overstay visa situation. Later in the podcast, we talk about the possibilities for having to stay in Jail after an overstay visa situation. Listen in by clicking the play button below, and perhaps my answers will help you too! Leave the country (you can re-enter again the next day and start another Balikbayan Privilege). You may convert your Balikbayan Privilege to a Tourist Visa and stay for another 36 months as outlined in the Tourist Visa section above. What happens if you overstay the Balikbayan Privilege? Same as what I outlined if you overstay a Tourist Visa. Best to follow the immigration rules and just follow step #1 or #2 above. But, can you overstay a Resident Visa? Well, sort of. It may not be technically “overstaying” but if you have a resident visa and do not follow the proper procedures, the treatment is the same as overstaying. You will get deported. In other words, you need to go in every year (Jan or Feb) and do your Annual Report at the Bureau of Immigration. You will pay a head tax of P310 (only about $6) at the time of your annual report. If you do not do this, then you are technically illegal here, and you must face the penalties. With a resident visa, if you have missed doing your annual report, you are allowed to go in and pay fines for missing it and get current and you can continue to stay. But, if you are caught being overdue, as opposed to voluntarily going in and taking care of this, then you can and probably will be deported. What if my wife or children are Filipinos? I hear from a lot of people who have a wife in the Philippines, and many of them also have children here, but they have overstayed for a long time. They tell me that surely they cannot be blacklisted with a family here. Surely they can return to their family. Sorry… the rules apply to everybody. If you have an overstay visa for more than 12 months you are blacklisted, and you cannot enter the country again in the future – even if you have a wife and/or children in the Philippines. Either you will have to bring your family to your home country (or another country) or you will not be seeing them again. Yes, it is harsh, but if you just follow the law you will have no problems. It is very simple to avoid these problems with large penalties and fees to pay… just follow the law, renew your visa on time, and leave the country at the proper intervals as prescribed by law. Some people tell me that they had to stop following the law, they could not renew their visa. Well, as I said earlier, it will always wind up being more expensive if you do not follow the law. It will lead to serious trouble and could cost you a lot of money. So, no matter what you have to do, figure out a way to fly out of the country while you are still legal, or figure out a way to pay those visa renewal fees! It is by far your best option. If you want to send a question for inclusion in a future Podcast, just use the app below, click on the button below, where it says “Start Recording”. hi bob I’m a filipino citizen and my son born here in US , I’m not applying him yet for dual citizenship. my question is how long can my son stay in the Philippines? Thank you and God Bless!! Hello Shiela – The truth is, there is no reason to apply for dual citizen for your son. Since you are a Philippine Citizen, your son is too! Since your son was born in the USA, he is already a dual citizen. You only need to file a “report of birth abroad” with the Philippine Embassy or Consulate serving you to have his Philippine Citizenship recognized. If your son travels to the Philippines on a US Passport, he can stay for 21 days, and then renew his visa until a maximum of a 16 month stay. how long is the process of filing “report of birth abroad? is there any fee? because my son is going to philippines this january with his filipino ancestry and they want to stay more than 21 days and im concern about the stay of my son there,what can you suggest? Processing time varies depending on the workload of the Embassy or Consulate where you apply. The only way to know how long it will take is to ask the people at the place where you apply. Even on a US passport, your son can stay up to 16 months, but must simply renew his visa and pay the required fees. thank you so much for answering my questions, you’re a big help:)) i really appreciate your website :)) God Bless..
thank you Shiela, and good luck to you and your son. My us citizen born has been in the Philippines since 1 year old and she is now 18 years. I’m separated from the father and the father has been keeping my daughter away from me but he is now letting her come back to the u.s. The father and I are both of Filipino citizens. I live in the us and he lives in the Philippines. What will I need to do to bring back my daughter without paying the overstay fees. Hi Liz, at the time of your daughter’s birth you should have registered her birth at the Philippine consulate in the area where she was born. If you did that, you can see recognition of Philippine citizenship, which will make her a dual citizen. If you did not register her birth, you7 should do so now, and then seek the recognition. Good luck to you. Hi Bob , my cousin is half filipino he spend he’s vacation here 11 months ago he is just 15 , now he was only allowed to stay here for 6 months now he overstayed for 5 months what should we do?? He is schedule to go back next month , do we have to pay some penalties?? Thank you. Thank you for writing with your question about the Philippines. Bob is happy to answer questions, but it has truly become a full time job because so many people have questions. hi Mr. bob im rosel resident here in the philippines…. i just have a question for you is there any consequences for an american citizen who got involve in to a trouble…. If you feel a crime was committed you should report it to the police. If he is guilty he will have to face the consequences. If you have the opportunity to become a Dual Citizen you better do that because this will cost you Millions of Pesos. Hi Sam – In my opinion, because you were naturalized through the actions of your parents, and were not old enough to make the decision on your own, I would say that you are a dual citizen now, both USA and Philippines. Are you sure? Because I need some clarification. But after I became a US Citizen, I lived in America until I was 12 years old, and came back here in the Philippines until now, I am now 19 years old. I stayed her for high school and college. Like I said earlier, I acquired my birth certificate at the NSO, both father and mother are Filipino citizen, I was born in Pangasinan etc. So does this meet the grounds on being a dual citizen? Please read the first words of my reply to you – “in my opinion.” That means that it is my opinion, not that I am “sure.” For concrete info please check with the BI and see what they tell you. BTW, if you are not a citizen and have been staying here for 7 years, if you have not been paying all of the visa fees and such, you are going to owe a lot of money! Better take care of this as soon as possible. In your opinion, what are pros and cons of having dual (Fil-Am) citizenships? Hi Larry – I know of now cons. Of course the pros are that you get the full rights of citizenship in more than one country. You can own land in the Philippines, vote, etc. If your daughter has two passports, then she is a dual citizen. If she entered the Philippines using her Philippine Passport, she can stay as long as she wants to stay. If she used her US Passport to enter the Philippines she can stay 21 days before she needs to renew her visa, and renew every 59 days after that. When you became naturalized, you lost your Philippine citizenship. You need to apply for dual citizenship if you wish to reclaim your Philippine citizenship. i forgot what passport we used for her when we entered PI but she does not have any visa to renew..
even if i still have my Philippine passport and just renew it when it expires? The visa is a stamp in the passport. It is impossible not to have a visa when you entered the country. If you already gave up your Philippine Citizenship by being naturalized in the USA then it would be illegal to renew your Philippine Passport, because you are no longer a citizen. You need to apply for dual citizenship first. for my daughter,she does not have a visa on her passports..
when i go to the PI,where could I go to apply for dual citizenship? Hi May – The answer to your question depends on how you became a US citizen, and when. You say that “somehow” they made you a US Citizen, but I need to know by what means you became a US citizen before I can answer your question. hi! Bob I’m a Filipino citizen but my wife just got her u.s naturalization(us citizen) moths ago. We had 3 kids ages: 6 months, 2 yrs old & 7 yrs old they are all dual citizenship FIL- AM. My Question is there any penalties if my kids were going to stay in Philippines for more than a year? 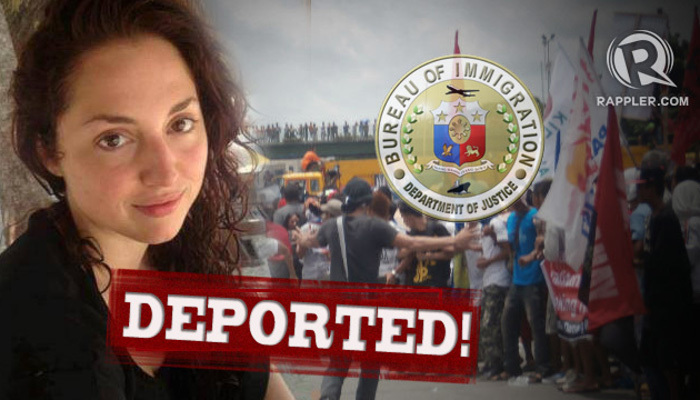 Hi Kristi – Since your mother is a Filipino citizen, you can be too. May I ask where you were born? The country of your birth will determine how you can go about getting your Philippine citizenship, and thus avoiding all penalties for overstaying. Hello! My mother and father were both Filipino/American citizens at the time of my birth. I was born in the Philippines but they somehow made me into a American citizen. I saw my birth certificate at the NSO, and it says my mother and father are Filipino citizens. So, what does that make me? Dual? Thank you. You apply for dual citizenship at the Bureau of Immigration. Well, I was actually wondering if my parents at the time were also American citizens at the time of my birth, if that had an automatic affect on my citizenship and made me into an American citizen. But at the same time, I have a birth certificate claiming my parents are Filipino citizens at the time of my birth. Hi Sherman – Since you are a citizen of the Philippines, your children are entitled to be Philippine citizens as well. Since you said they are already dual citizens, be sure they have either a Philippine Passport or a Certificate of Philippine Citizenship with them. They should show it when entering and when exiting the Philippines, and they can stay in the country for as long as they wish to stay. No penalties. If they do not have one of those documents there will be penalties to pay. Hi May – the Dual Citizenship law is only like 7 or 8 years old now, so unless you are much younger than I suspect… I doubt that your parents were dual citizens when you were born. If I were you I would go to the DFA and inquire with them regarding your citizenship and what steps are available to you. Hi if we we will apply for dual citizenship if ever? it won’t affect her American citizenship right? Would you know how to go about the dual citizenship application? how much is the fine for overstaying? i was born in USA. i’ve been living in the philipines since i was 2 . Now im 16 and i want to go to college but i have incomplete documents. Im an amercn ctzen , so is my father. My mom is filipno ctizen. Do i have to pay for overstaying? Do i need to get student visa or dual citizenship? You do not need to apply for dual citizenship in your case, Marga, all you need to do is file a report of birth abroad for your daughter. You did not give me enough information to be able to answer your question. 1. What was the citizenship if the mother and the father at the time of his birth? 2. What is his current age? Yeah, you will have major problems. They won’t let you leave, you owe a lot of money for overstaying that long. If you can wait and leave after you have received your Dual Citizenship Certificate than you will have no problems, but if you try to leave without having that.. well… you will be facing serious problems. Good luck.